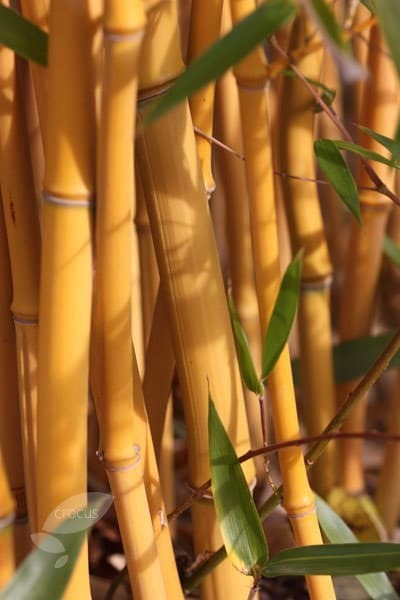 Tall bamboo with green-grooved, golden-yellow canes, which can flash with shades of red in the sun, fading to darker yellow with age. 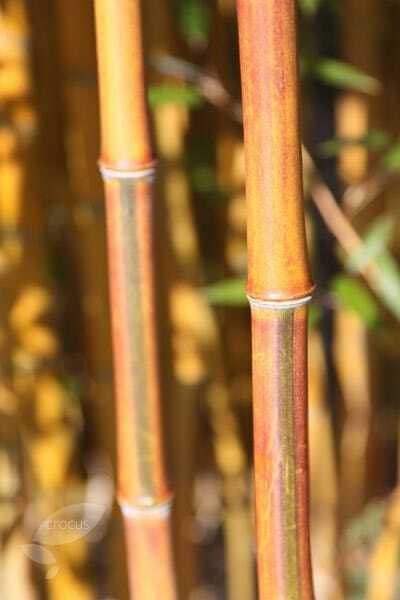 This colourful variety looks great alongside the ebony-black canes of the black bamboo, Phyllostachys nigra. 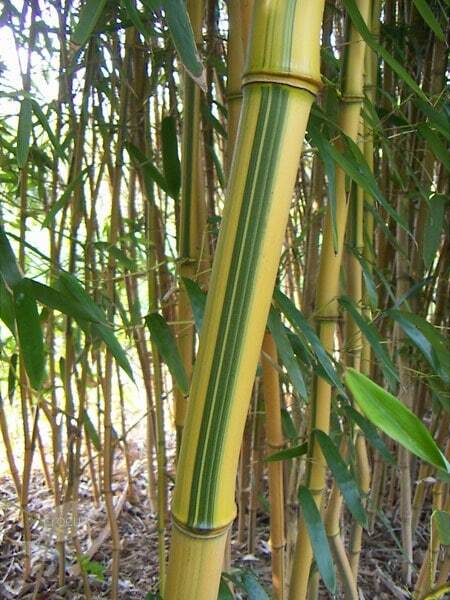 This aptly named coloured-stemmed bamboo is one of our 'highly recommended plants'. Garden care: In smaller gardens surround the roots with a non-perishable barrier (such as our bamboo control system) that will restrict the plant's spread. I planted this bamboo in a large plastic tub sunk into the flower border and it looks stunning but won't, I hope, completely take over. It grows quickly, is a lovely bright green and provides the height I wanted without being too dense. I love it! Planted it in a large rubberised container with the bottom cut out in a small circular bed in the middle of a lawn. It was bought for screening and does the job brilliantly while looking really graceful, especially when the wind rustles through its leaves. Hello, These are around 30 - 40cm in a 2-litre pot. Hi I have two 30ltr plant pots will this plant grow happily in this size pot. 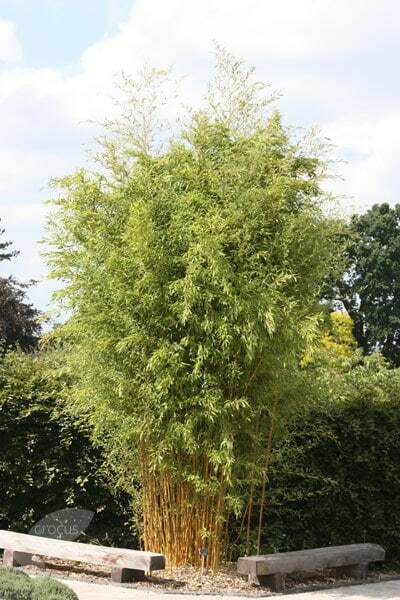 Hello, They will for a couple of years, provided they are kept really well watered (and fed during the growing season), but after that they will need to be planted into something much larger as they are spreading bamboos rather than clump-formers.